Despite the view from the west that North Korea is an impenetrable mystery, Sara Jane Hall hears from visitors who are still arriving in Pyongyang airport for business and holiday. Last year approximately 4,000 tourists from the West travel to the DPRK, this year there may be fewer, although tourist and business people are still entering the country. So why do people visit? Despite its reputation as a closed country - the 'hermit kingdom' - there has been an increasing interest in travel to North Korea over the past decade, both for tourists and business. So what do people experience there, and how do they feel when they hear the current high-voltage exchanges of threats from either side of the Pacific. As the language of war is racheted up, Sara Jane Hall takes time to speak to those who have visited for a variety of reason, using a surprisingly rich vein of programmes recorded from within the DPRK, from the BBC archives. From the tour leaders guiding tourists through the museums, schools and parks, to a visit to the DMZ, from the 'other side', what do those who visited in the past now make of their time there? Have their views changed? Some of the questions Sara Jane will explore include, what was the experience of being in a country so controlled you are rarely allowed to travel without a guide being present at all times? How does it feel to be unable to freely discuss your impressions for fear of putting your guide at serious risk of punishment? Were you able to have any meaningful relationships with the Koreans and was there a sense of connection? Why did you even go? In 1867 Mark Twain wrote "Travel is fatal to prejudice, bigotry, and narrow mindedness," but if you are unable to speak, move or act freely, how are your impressions of a country such as the DPRK formed. Sara Jane will also hear from business travelers, who have experienced negotiations with the authorities, and to refugees, who have seen Westerners in Pyongyang. How do they regard the occasional visitors, who stand out, due to their wide variety of clothing, as much as their features? Did it make tthem curious or angry? There will also be a lot of surprises for the listener who has only a narrow picture of this country - which will humanise a little understood country. 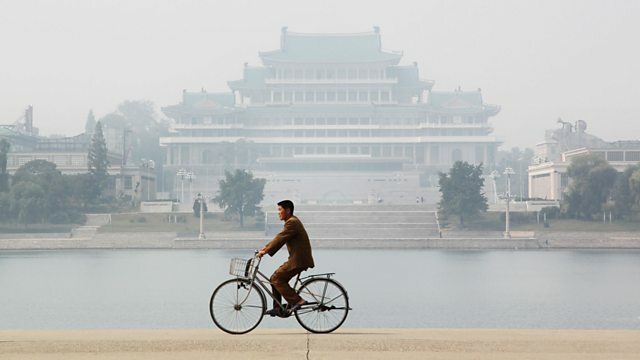 Presented and produced by Sara Jane Hall, who has visited the DPRK twice, to record two documentaries for BBC Radio 4. Photos courtesy of Tony Pletts.